On behalf of Admin of JML Law, A Professional Law Corporation posted in Pedestrian Accident on Saturday, Jan 19 2019. We have learned of a tragic crash that happened last week that we need to bring to your attention. Police have said that an unlicensed driver, Rosario Valdezinda, was driving around 30 miles per hour when she struck 65-year-old Yong Do Kim who was crossing the street in a crosswalk on 6th Street. Valdezinda attempted to flee the scene but was stopped by witnesses to the crash. Police say that not only was she unlicensed, but she was texting on the popular messaging platform WhatsApp at the time of the crash. Yong Do Kim was thrown 30 to 40 feet when he was struck and died at the scene. This incident highlights one of the many dangers that pedestrians in and around the city face each day. If you need a Los Angeles pedestrian accident attorney, you can count on JML Law to be by your side, fighting to secure the compensation you deserve. The article we highlighted above tells us that there are more than 1,000 people injured or killed in the US each day due to distracted driving. We know that this is a problem. Despite many efforts to curb distracted driving, it is still common to see drivers with their faces glued to their phones instead of the roadway. We know that drivers impaired by drugs or alcohol are also a major contributor to pedestrian crashes. Often, those who are driving impaired do not even slow down before an accident happens. 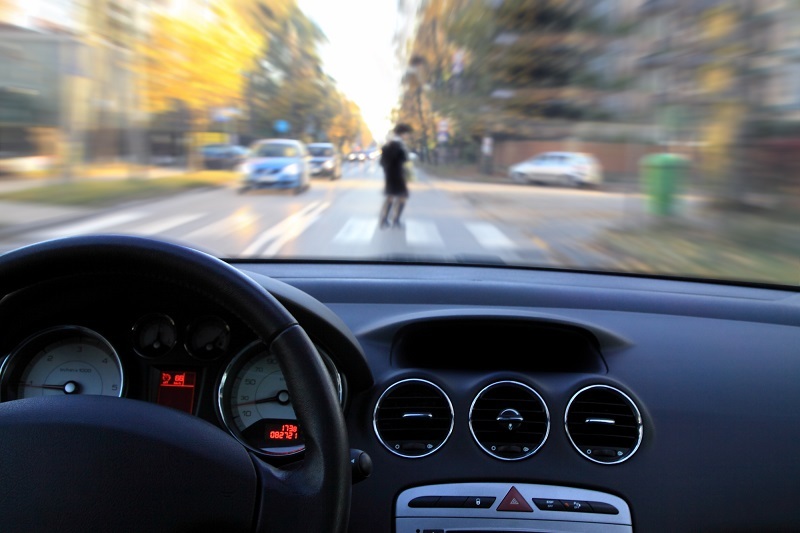 Drivers who speed have always been a source of concern, especially those who do so through intersections, crosswalks, and other pedestrian right-of-way areas. According to the California DOT, the latest reporting year in California shows that there were more than 14,000 pedestrian accident injuries. There were also 867 pedestrians were killed in traffic incidents. The number of incidents increases in and around major cities. In Los Angeles County, there were over 6,000 pedestrians injured or killed during the latest reporting year. Needless to say, our residents really need to be careful when they head out on foot. Pedestrian accidents tend to be much worse when it comes to injuries. Our bodies have no protection against the force of a vehicle slamming into them. It is common to see spinal cord injuries, traumatic brain injuries, internal bleeding, and more after a pedestrian crash.